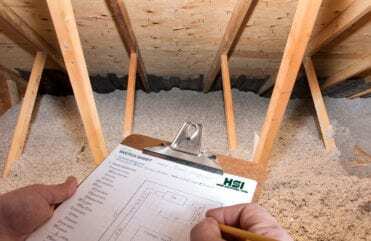 Since attics are vented, we should think of them thermally as outside in the winter. In summer because of the suns radiant heat, they are much worse than outside, reaching 130˚ on summer days. Clearly, we need to keep a boundary between our living space and the attic so inside air doesn’t move to the attic in the heating season (convection), and heat doesn’t pass up through our ceilings in the winter (conduction). To reduce overall air leakage, the attic is the first priority. Warm air rises to the top of the home and will find any and all holes to leak out of into the cold vented attic. 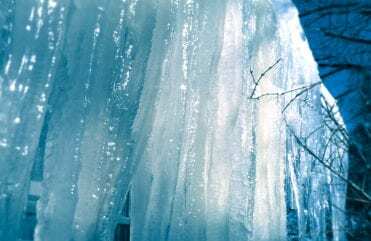 And the only reason cold air leaks in from the outside at the lower levels of the home is that warm air leaked out of the top and created a suction at the bottom. THE RESULT: cold drafty rooms downstairs, colder floors, the home is harder to heat and keep comfortable. 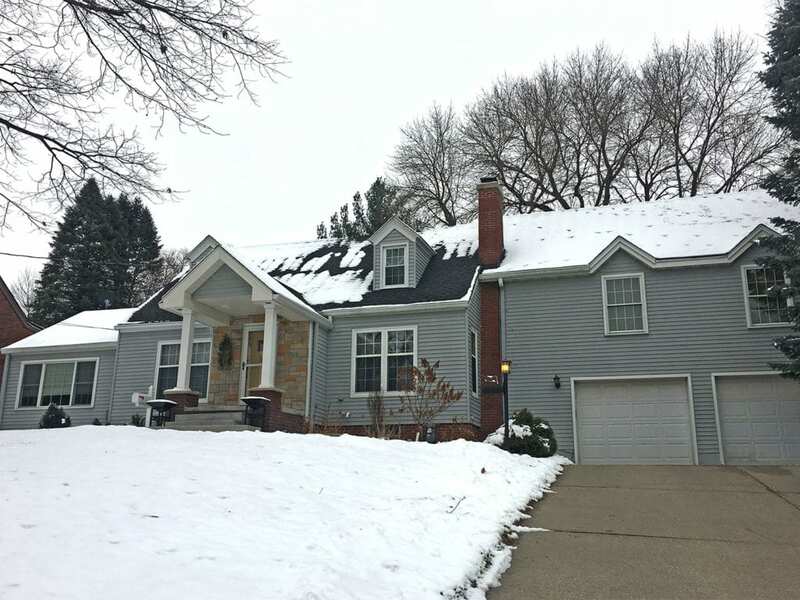 Pictured is an example where heat loss is occurring at the center of the home and you can tell by where the snow is melted more than other areas on the roof. Tom, one of our Home Solutions Experts, gives us a sneak peek on what he found in the attic of this home during the inspection. First, we carefully air seal the many various points where air from the home is leaking up into the attic and is lost. Because insulation does not stop air leaks, air sealing is very important. We then add blown-in cellulose insulation, it will not burn, get moldy or attract pests. Blown insulation fills all gaps and odd shaped voids. THE RESULT: a warmer, more comfortable, less drafty home that you’ll notice everywhere – even downstairs. Are you experiencing cold rooms? To maximize the comfort of your home contact Home Solutions of Iowa for your free Home Comfort Evaluation today. I love the system and the idea of no more gutter clogs from leaves. We went through some horrendous downpours and the system handled it well. The work crew was great to work with and explained how things were going to be done as we went through the process of putting up the LeafGuard® Gutters. They are worth the money it costs. - William R.
This is the second time I have used this company and I would recommend them to everyone. I was most satisfied that everything went together smoothly. They are top drawer, were quick with getting the job done, and I have zero complaints with LeafGuard®. 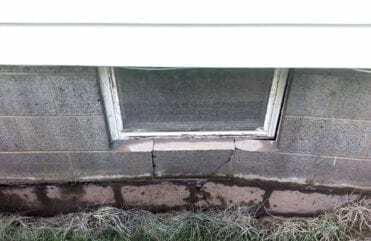 - Wayne G.
I am very happy with my gutters! - Sandra M.
They all worked as a team in starting and completing the project. - Ron R.